Ironwood Book Club: Come join the Ironwood Book Club. All adults are welcome. Meets the first Wednesday of each month. The WORLD AFFAIRS COUNCIL BOOK CLUB will discuss Cutting for Stone by Abraham Verghese. The longest running book club in our store, the Bookworks Book Club meets to talk about their monthly selection the second Wednesday of the month. This month's selection is Cutting for Stone by Abraham Verghese. The distinguished physician and author of Cutting for Stone shares reflections on the Samaritan function of doctors and where meaning resides in a medical life. Litteraturkreds ved Anna Sofie Mortensen- vi læser bogen: Knivens æg af Abraham Verghese og deler læseoplevelsen med hinanden. Undervejs vil der være kaffepause. Hold 13002. Arrangeret af Lof Herning. Dr. Verghese has three children, two grown sons by his first marriage and a third by his second marriage. Abraham Verghese's book When Breath Becomes Air was available from LibraryThing Early Reviewers. 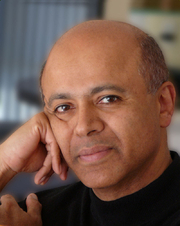 Abraham Verghese is currently considered a "single author." If one or more works are by a distinct, homonymous authors, go ahead and split the author. Abraham Verghese is composed of 12 names. You can examine and separate out names.